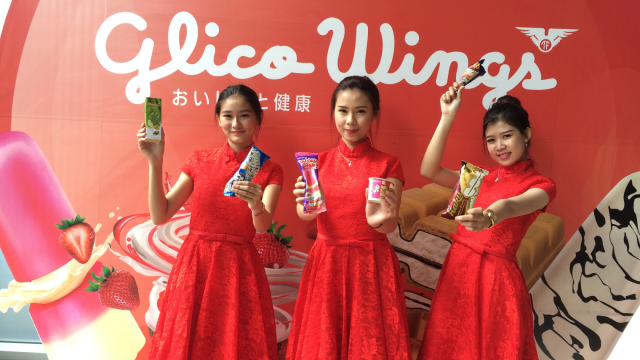 PT Glico Wings held a press conference on 16 November 2016 to announce the launch of its new range of ice cream for the Indonesian market. The company, established on 27 September 2013, is a 50-50 joint venture between Indonesia’s Mitrajaya Ekaprana (Wings Group) and Japan’s Ezaki Glico Co., Ltd. The business of Glico Wings is to manufacture and distribute ice cream in the country. The new entity was previously scheduled to start business in January 2015 but operation was delayed until the end of 2016 due to the delayed in factory construction. 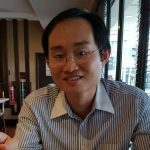 In Indonesia, ice cream is dominated by Unilever Indonesia with a 70% market share, said Glico Wings brand marketing manager Nando Tampubolon. The second biggest player is Campina with 20% and the rest are Indo Icecream (Indofood), Diamond and other small players. 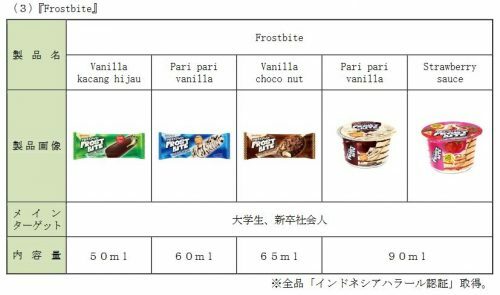 Glico Wings plans to become among the top three players in the ice cream market in 2017. 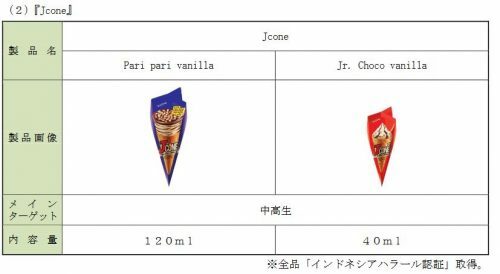 Glico Wings ice creams are aimed at consumers age 10 to 45 with prices ranged from IDR 1,000 (USD 0.75) to IDR 12,000. 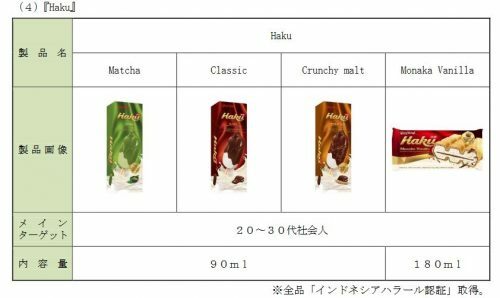 From Ezaki Glico press release. The FMCG giant Wings will focus on distributing the new ice cream throughout the country. Distribution is a key issue facing FMCG players in Indonesia and having the right local partner is important to reach consumers. Since 7 November 2016, the ice cream has been made available in Java and Sumatra, the two most populous islands. The next step is to provide dedicated freezers and put them in the modern and traditional sales channels. 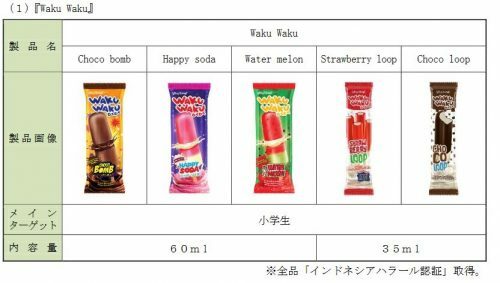 The ice cream will have a sweetener taste than Japan as Indonesian consumers prefer ice cream that is sweet in taste, said Hidezaku Kawashima, Glico Wings president director. 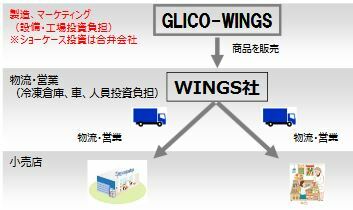 The key unique selling points for Glico Wings is the ice creams come in different taste, texture and packaging. 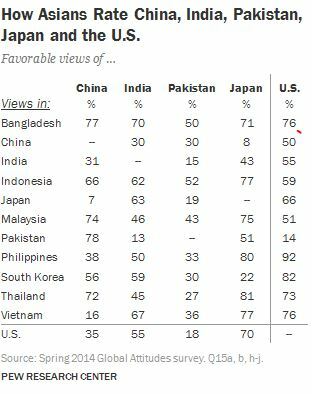 Indonesians view Japan favorably. The J-trend is much alive in Indonesia with strong preference for cosplay and Japanese pop culture like the female pop band AKB48 and its local group JKT48. This positive sentiment towards Japan has made Indonesia a fertile ground for Japanese food and beverages. The new Glico Wings ice cream will also be leveragingits Japanese heritage but with the taste customised for the local market. The Japanese element is already strong when it comes to tne marketing of Glico Wings. #redballinvasion is the official hashtag to promote the new ice cream. The red ball (from the Japanese flag) symbolises Japan and consumers are encouraged to use this hashtag when uploading their photos. Ayam Brand™ Supports Tabung Harapan!